Paulo Rodrigues is a former photographer that passed on video cause life is motion and motion is perpetual. Born in the eigthies, in the middle of the street revolution, he is quickly attracted by skateboard and his graphic universe. 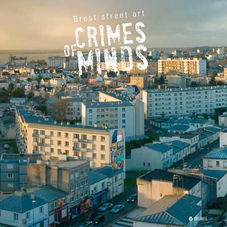 From the street to the street, there is even no step, and when Awouell told him : "Come on there is a street art project beginning in Brest city !". This is with no hesitation that he gave his sharpened glance and decided to cook some visual appetizers.